At Noddy's Nursery School we aim to create a feeling of a home from home where your child can feel inspired, grow in confidence and receive the best level of care and attention. Open from 7.20am until 6.30pm, 51 weeks a year, both of our nurseries take children from 3 months to 5 years either on a full time basis or a minimum of 2 full days per week. We provide a varied and stimulating timetable following the Early Years Foundation Stage curriculum as well as sports, dance, ballet, music, drama, adventure walks and cookery being a part of daily activities. We recognise that each day is a new learning opportunity which we seek to optimise by inspiring children to develop at their own pace building self-confidence and new skills. We encourage individuality and creativity through child led learning whilst building foundations for good sociability and knowledge through our varied timetable. We provide a friendly and supportive atmosphere alongside a varied and stimulating timetable ensuring your child enjoys their first experiences of school whilst fostering an enthusiasm for learning. Group sizes are kept small within each classroom so staff can provide the necessary care and attention for each child to enable them to reach their full potential. At Noddy’s we recognise that children under 5 are learning all the time through everything they do and that each day is a new learning opportunity which we seek to optimise. By following the Early Years Foundation Stage curriculum (EYFS) we can assess each child as an individual and provide accurate feedback to parents and what to expect, when? The EYFS provides 7 areas of learning and development, which are all inter-connected. Whilst all the areas are important, there are 3 areas which are crucial as they encourage a child’s curiosity and enthusiasm and build their capacity to learn, form relationships and thrive. In turn, the nursery will also support your child in the 4 specific areas through which the prime areas are strengthened and applied. For under 2's we concentrate predominantly on the prime areas. Accordingly, if they are showing signs of interest in the specific areas we will plan for these too. We deliver learning through play and embed maths and literacy in our activities using materials and resources to support reading, writing, numbers and shape recognition. We believe that children should develop a love of learning and our play based approach provides an opportunities for each child to thrive and maximise their potential. Your child will play with dough and sand and pincers and squishy balls to develop their hand strength and control in order for them to have the skills to hold a pencil to write. Your child will learn number songs, be asked to help set out the table for meal times, bake and go on number walks to help them to count and recognise numbers. Our older children will also be given the opportunity to join in with specific short phonics and maths sessions that are planned to meet your child’s individual stage of learning and are closely overseen by our english and maths leads. Parents may request to see any records of their child’s learning and view photographs of their activities at any time. 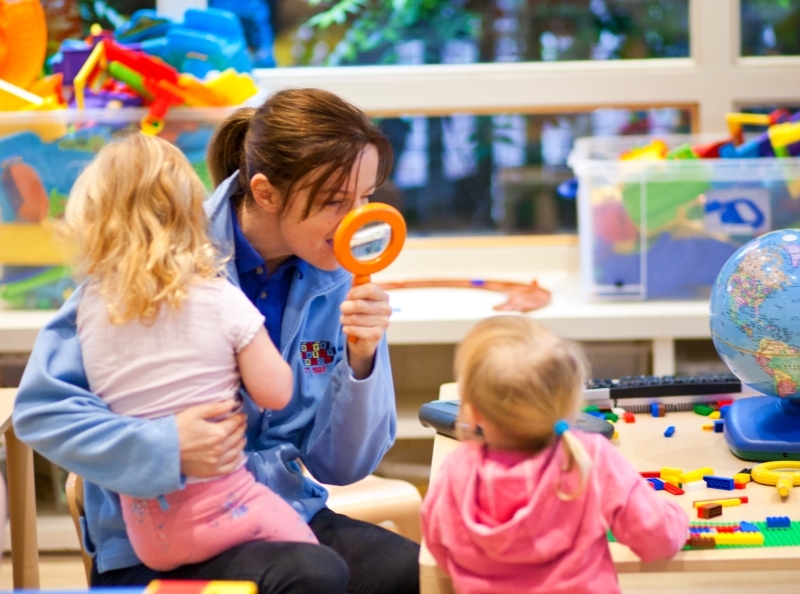 At Noddy’s, our staff are always available to discuss anything regarding your child’s development and needs, ensuring that routines established at home are continued at the nursery too. Each child’s key person plans activities based around their individual needs by tracking and observing their development and will be introduced to you during your induction when first joining the nursery or during the moving up process. They will discuss your child's progress with you on a regular basis and a detailed learning journey for your child is provided each term. Parent and key person meetings take place once a term. All our carers are Disclosure Barring Service (DBS) checked. In addition, you will receive verbal reports from your child’s key person when collecting your child at the end of the day alongside being able to receive up-to-date information through ParentZone, a smartphone and tablet app which brings you closer to your child’s development at nursery. You will be able to see a timeline of your child’s day at nursery, with notes, photos and videos of their daily activities. You are also able to contribute with your own photos and notes from home, if you wish. Through the app, parents can create a printed book straight from ParentZone to cherish and keep forever. Each book contains a collection of 21 chosen photos and are the perfect way to capture your child’s special moments at Noddy’s. The system is very secure – the connection is made using a secure serving holding a 256 bit SSL certificate (typically your internet banking uses 128 bit). Parents will be the only people outside the nursery that can view their child’s profile, accessing it with a unique and secure log in. 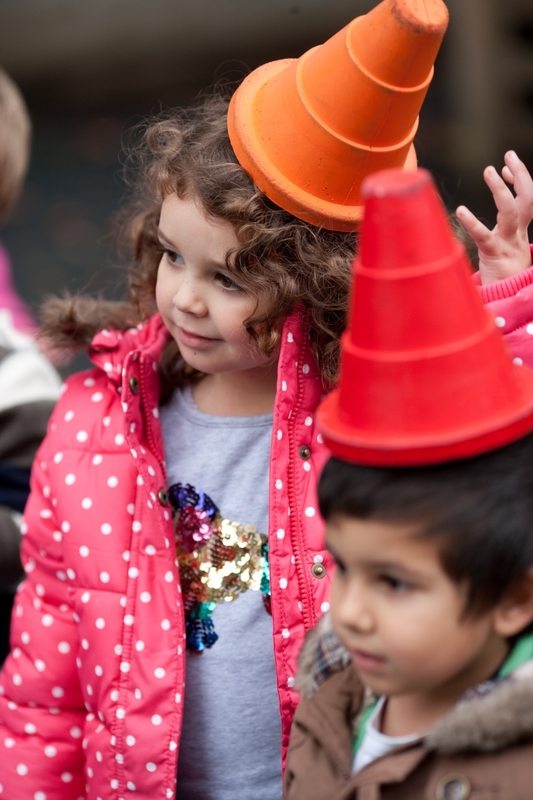 Our extra curricular activities take place throughout the week in both nurseries with the children taking part in sports, Spanish, adventure walks, dance, ballet, Hartbeeps, music and drama. Our “Small Sports Club” coach, teaches twice a week at both nurseries where the children participate in rugby, basketball, football, tennis and kwik cricket sessions in our garden (weather permitting of course - on rainy days, sessions take place indoors). The sessions are carefully planned to be age specific and covers 3 areas; motor skill development, specific sport skills development and educational activities and games using numbers, letters, shapes and colours. Each of the sessions enable the children to learn and progress while exercising and of course have fun! The sessions also help to build children’s confidence and teach them how to participate in team sports. Spanish lessons take place one a week at each nursery. Spanish is taught by an external teacher from “Nanos Spanish” whom are all native speakers. 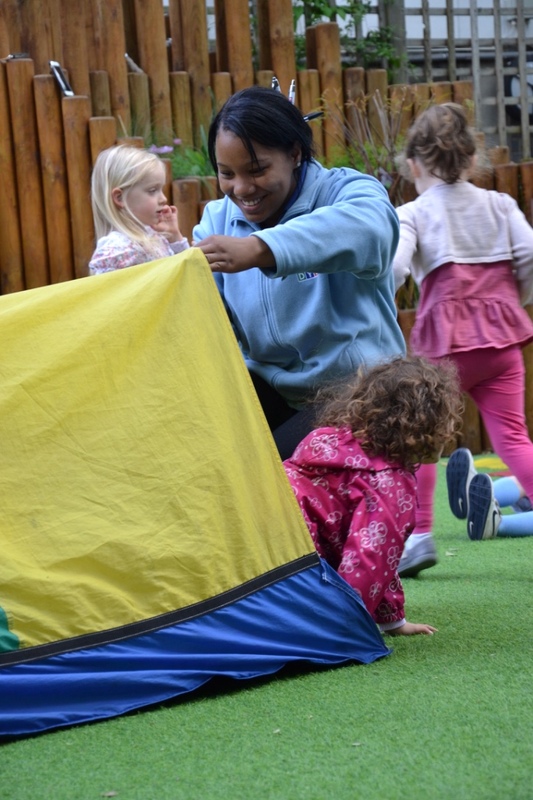 Each session introduces new words through games and songs, helping them the children to build confidence, develop their language and communication skills and have fun whilst learning. The sessions are all 30 minutes long and are for the main school children. All learning for children should be an adventure and here at Noddy’s we understand that it is beneficial for children to experience those learning adventures in the real world and beyond the confines of the classroom. "Adventure Learning Walks" at Noddy's provides the children with the opportunity to develop their literacy, maths and writing skills outside of the classroom, combined with some physical activity. For example, we may take the children on environmental print walks, so that they can search for the written words in the world around them, practice their letter recognition on street signs using phonic sounds or when looking at letters on a number plate. There will also be opportunities for children to go on shape hunts, exploring shapes in their environment windows, doors, wheels etc. Visits to places such as Putney Heath, will allow the children to get closer to nature, learning how to problem solve, be more adventurous in their risk taking and enjoy some open-ended learning experiences. Children who take risks in their physical play are more likely to take risks and be bold in their learning in other areas, for example, be brave to make mathematical predications or attempt to spell a new word. Dance and ballet are taught weekly by "Holly Mayer Academy of Dance" with qualified teachers from the Royal Academy of Dance. The children are taught to listen to the music whilst learning to skip, jump and dance and hold different poses. These activities help the children to develop their balance, range of movement, and posture along with learning and understanding timing and rhythm. For our younger children, those who are still a little too young to participate in the sports and dance activities, we have “Hartbeeps” sessions once a week. The sessions are all set to music and brought to life with puppets and age appropriate sensory props. Our Seahorse, Starfish, Yellow, Blue and Green Rooms go on “trips” to African safaris, into space, have discos in the duck pond and even go diving under the deep blue sea! Each session is developed in line with the Early Years Foundation Stages and are carefully considered to aid your child’s development of fine and gross motor skills, spatial awareness, attention, listening, empathy, language and social skills. Music sessions take place for all of our rooms in the nursery. The baby sessions focus on singing and movements along with having the babies use percussion instruments which they can use to make their own music. The older children learn to sing songs, participate in rhymes and rhythm activities and make sounds with percussion instruments which are linked to the topics they are covering in their classrooms. Puppets are also used to stimulate the children. These sessions encourage the children’s creative development and allow the children to express themselves. All our extra curricula activity teachers are DBS checked and professionally trained. At Noddy's we design healthy and nutritious menus for the children to experience with an array of flavours and textures that will be the highlight of the children’s day at Noddy’s. The first five years of life are a time of rapid physical growth and change, and are the years when eating behaviours that can serve as a foundation for future eating patterns develop. Here at Noddy’s, we feel that children benefit greatly from positive eating experiences supported by our staff, who join the children for meal times every day, sharing in conversation and supporting positive eating behaviours, encouraging more foods that the children are tasting. We also recognise the importance of mealtimes encouraging the children to use a knife and fork, learn table manners and to say ‘please’ and ‘thank you’. Breakfast is provided to those children who arrive before 8.20am, which is followed by a healthy mid-morning snack and lunch at midday. Tea is served at 4.15pm before the children go home and we cater for all allergies, vegetarians and religious requirements. All our menus are nut free. Baby weaning is and milk formula is provide to individual baby requirements and support and guidance on weaning can ben provided by the baby room managers. The children's daily meals are uploaded to ParentZone for parents to view each day and weekly menus are displayed on our notice boards. Please see below an example of our menus. At Noddy's we really care about your child's education and helping you to find the right path for them once they leave us to join the next level of education. We have strong links with many of the local private pre-preparatory and primary schools and during your child’s time at the nursery we will be more than happy to offer advice. Many of the local schools are in great demand and we recognise that it is important to consider options at the earliest opportunity ensuring as good a match as possible. Below are some of the schools we recommend. Please click on the name of the school to be redirected to their website.